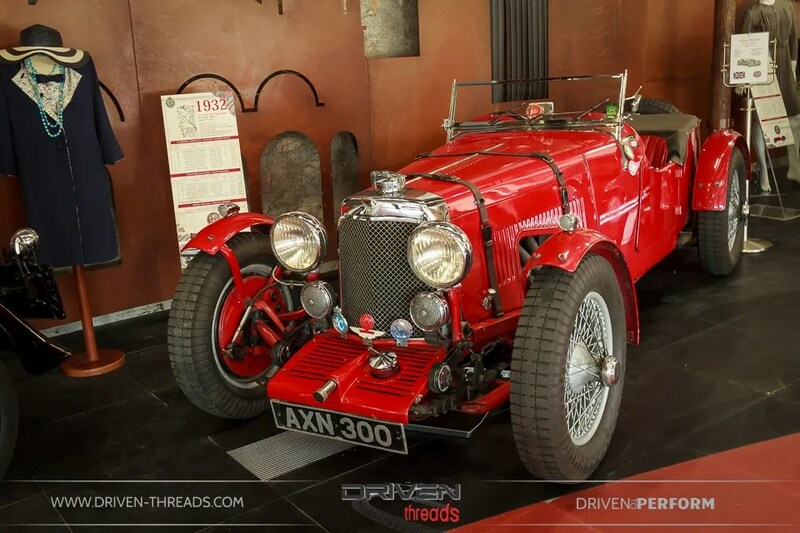 As we were in Brescia for the final stages of this year’s Mille Miglia, we really had no excuse not to check out the nearby Mille Miglia Museum. 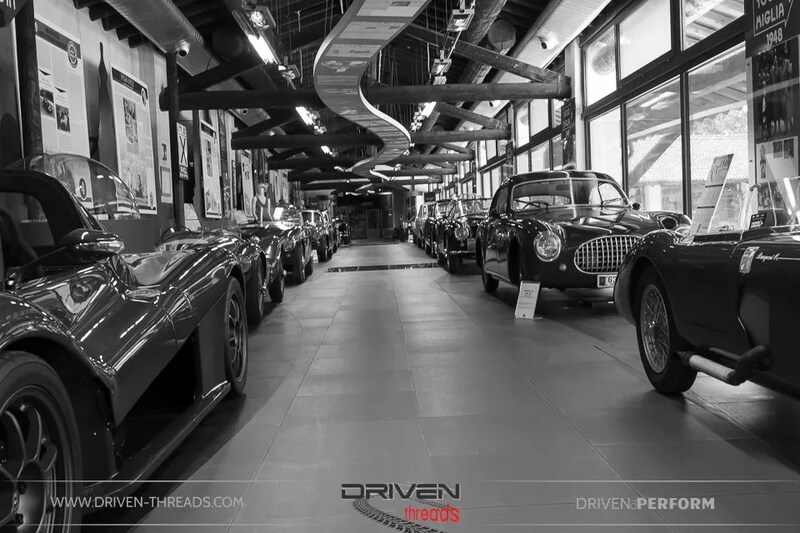 Established in 1997, the Museum is dedicated to telling the story of the most beautiful road race in the world. 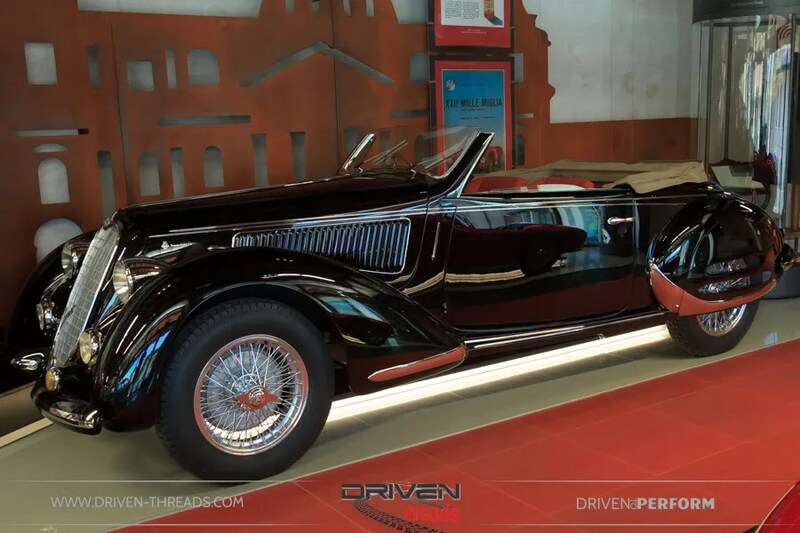 It features a fascinating display of vehicles, images and objects all influenced by Italian culture, history and social customs between 1927 to 1957. The main structure that the museum is housed in, is of architectural interest too. Originally a monastery, the building dates to 1008. 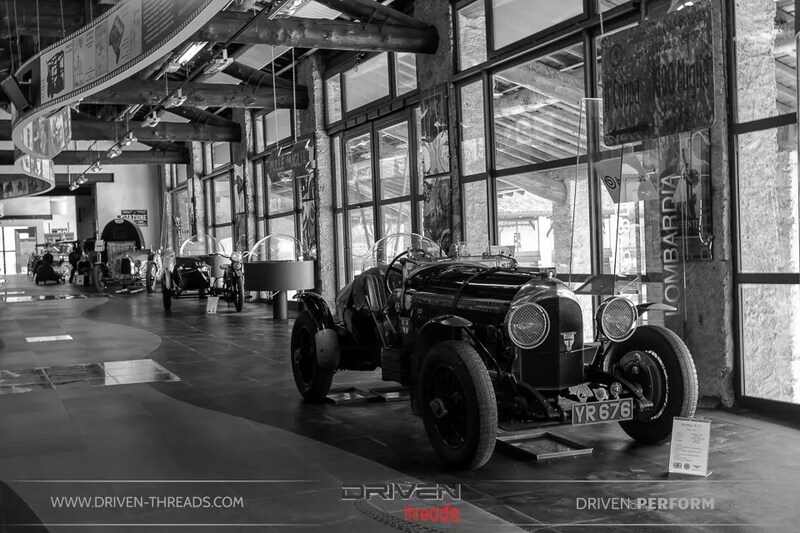 Equally impressive was this Bentley 4 ½ litre in the twenties section of the museum. 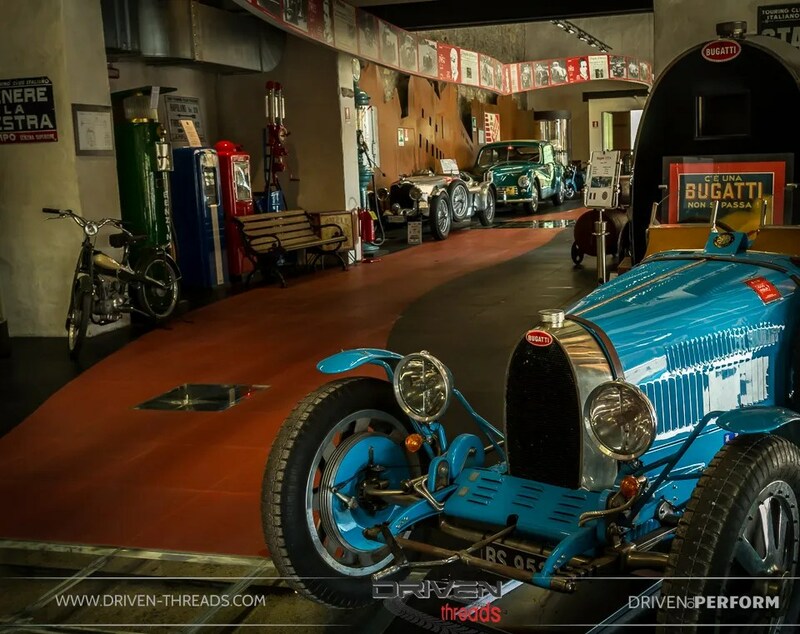 This 1927 Bugatti T37/A immediately set the tone for the high standard of automotive machinery on display. 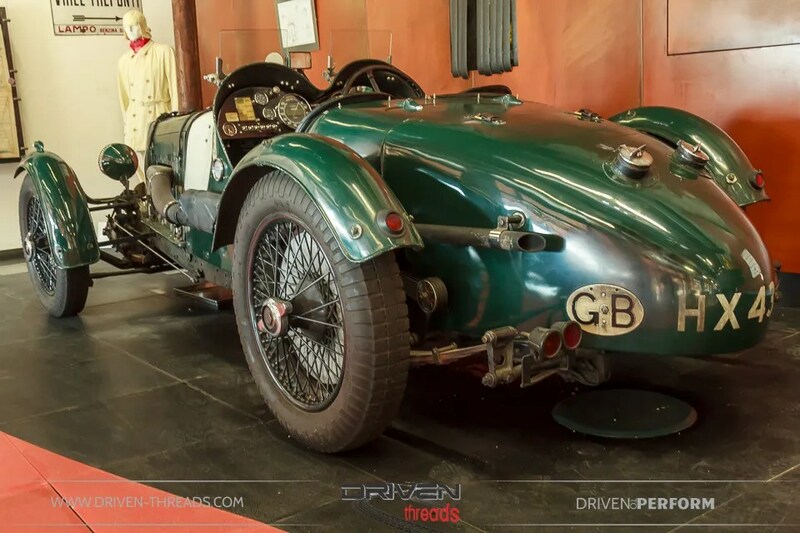 Can you imagine a non-stop 1000 miles at full speed on often unmade roads behind the wheel of primitive cars, like this Aston Martin LM 7 Works Team Car from 1931? 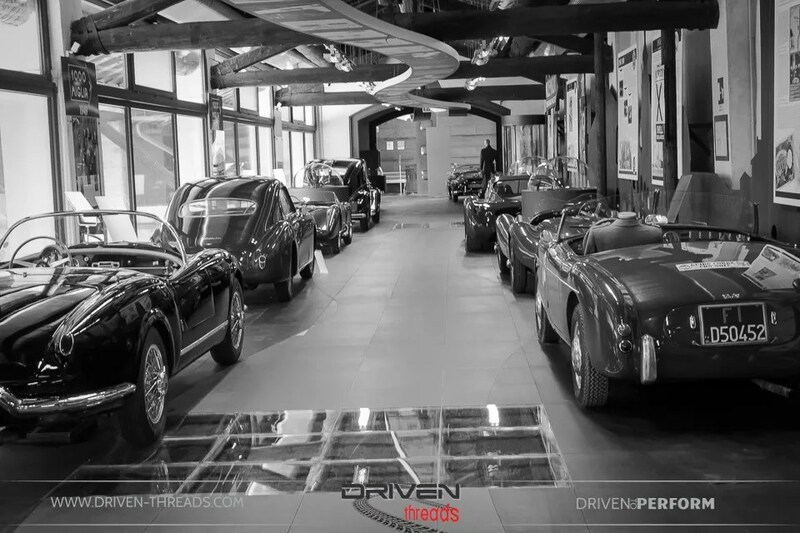 Being in the heart of Lombardy, glamorous Italian makers Alfa Romeo and Lancia were in abundance. 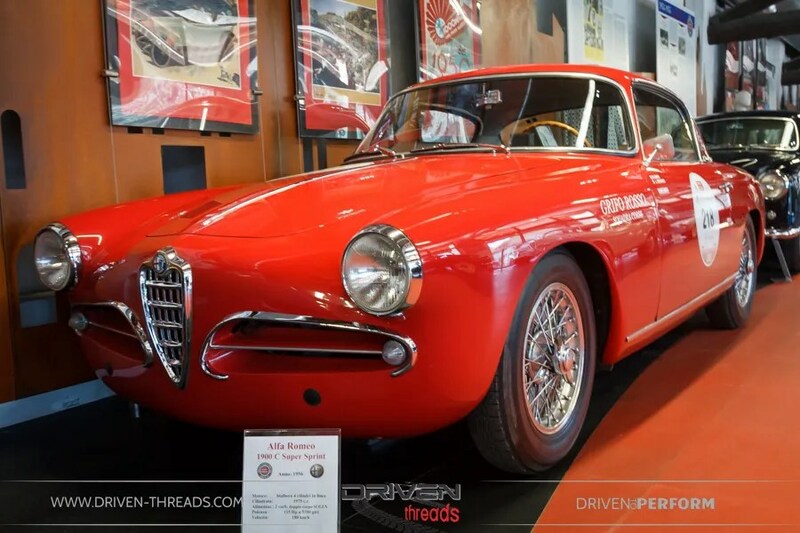 This beautiful Alfa Romeo 1900C Super Sprint showcased the best in Italian flair and bodylines. 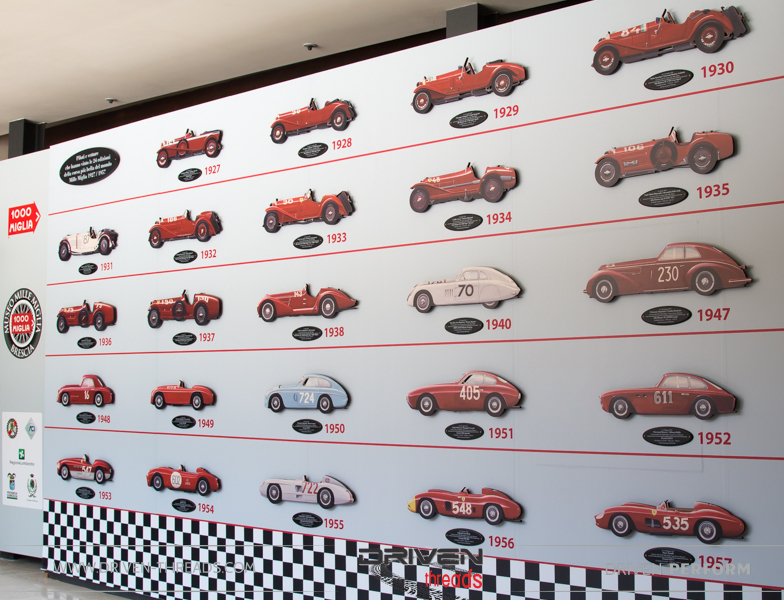 You can really see how Alfa Romeo look to their past in the design of their models today. 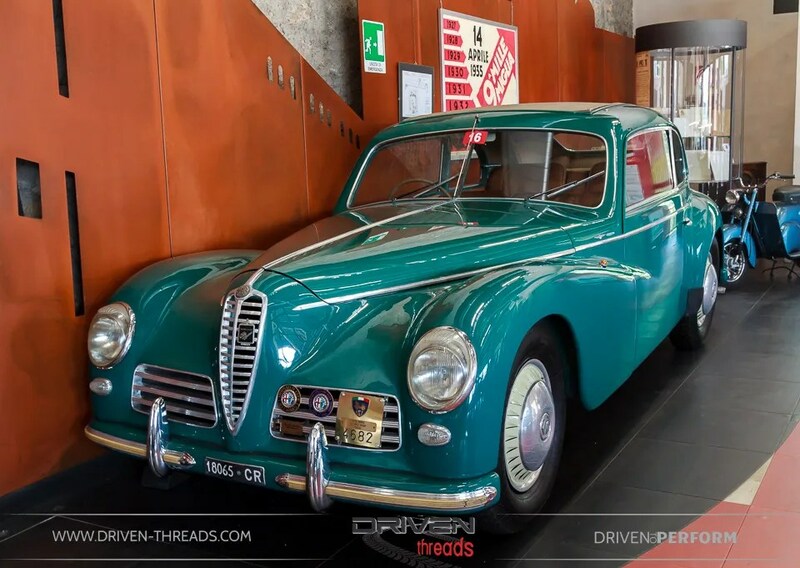 This one off Alfa Romeo 6C 2300 is another example of Italian elegance at its finest. 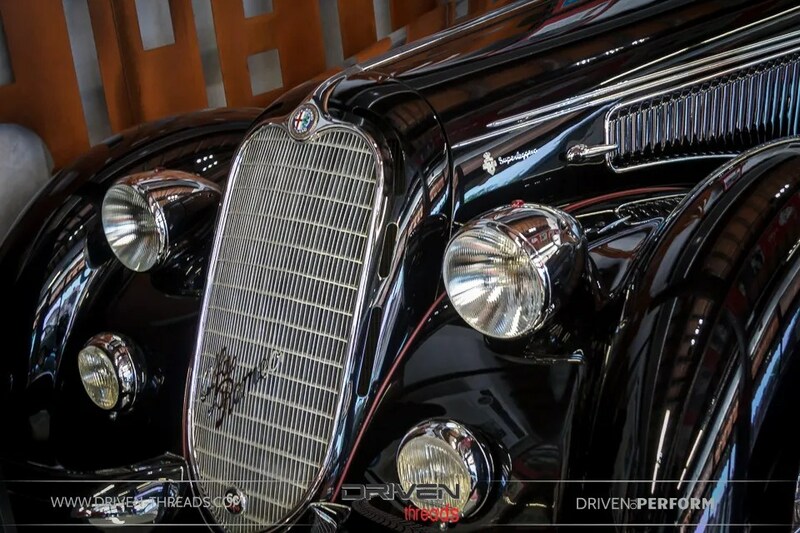 This particular car was displayed at the London Motor Show in 1938. 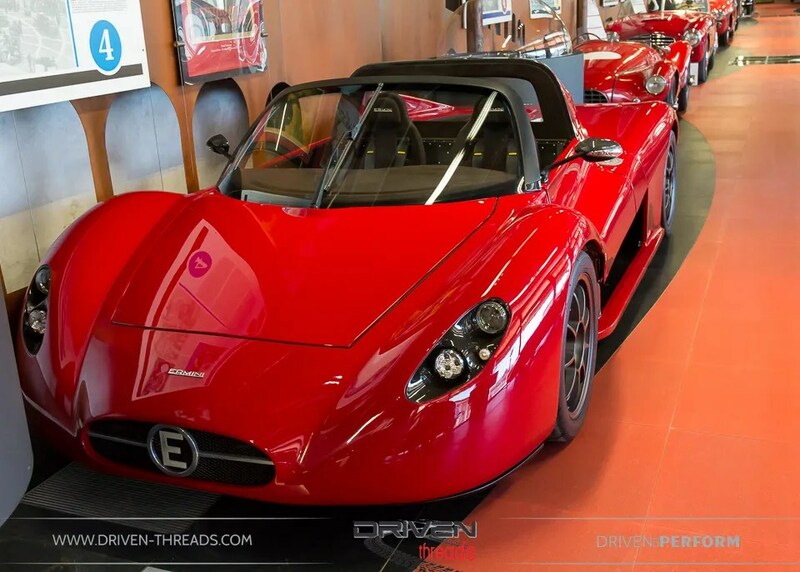 The “6C” name refers to six cylinders of the car’s straight-six engine. 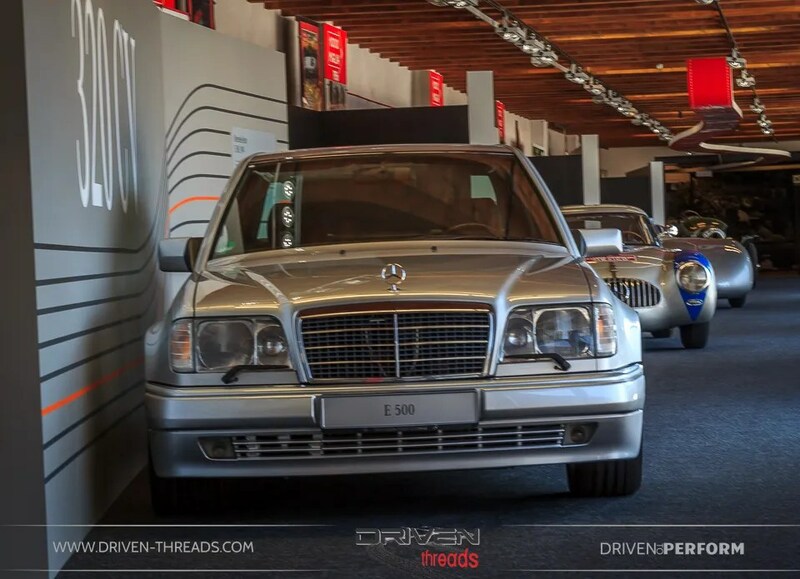 Downstairs and exhibition of Mercedes Benz also thrilled us. 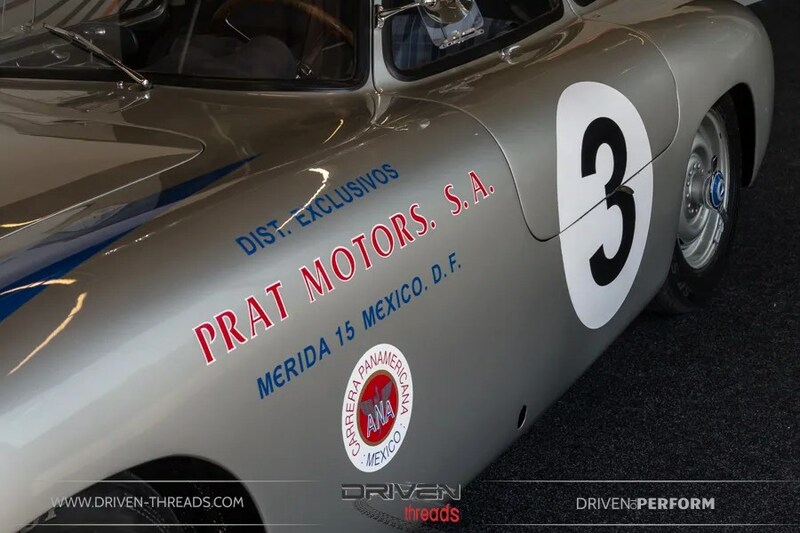 Merecedes entered three 300SL’s for the 1952 Carrera Panamerica race in Mexico. 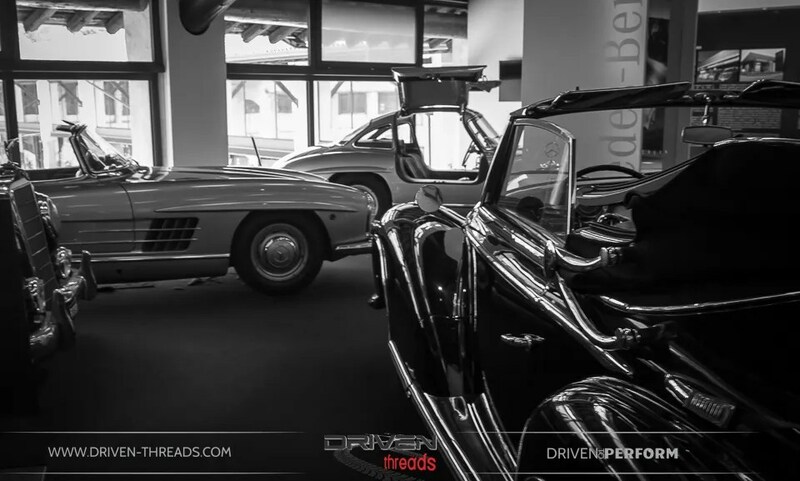 These were the prototypes of the production 300SL Gullwing. Two were coupes and one was a roaster. This car driven by Hermann Lang and Erwin Grupp finished second behind the winning coupe driven by Karl Kling and Hans Klenk. 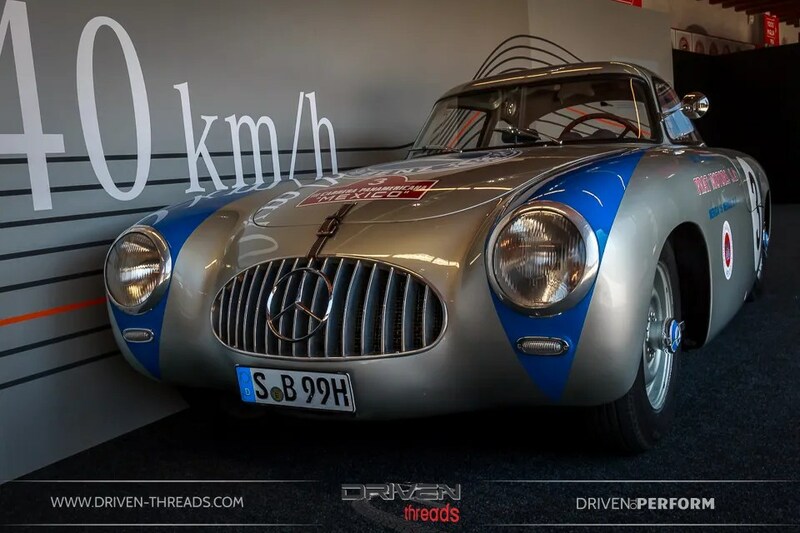 Driving the 300SL roaster, American John Fitsch failed to finish as his car was disqualified after receiving repairs. 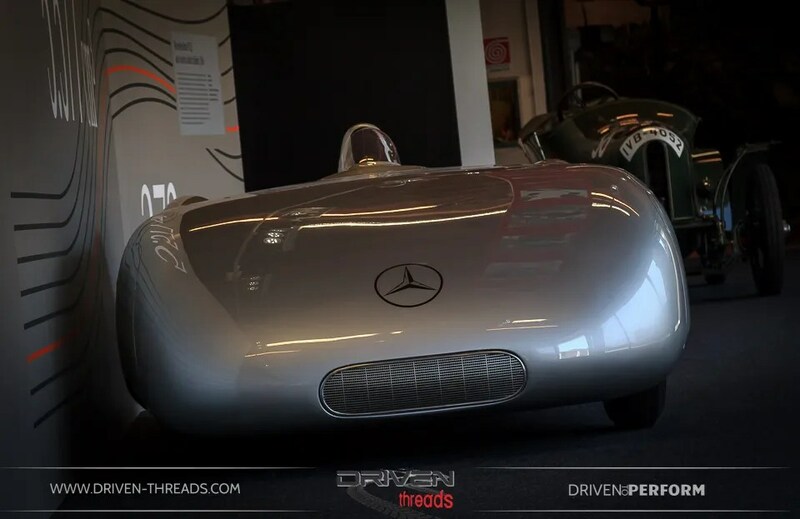 In the Nazi era, Mercedes-Benz race and record program was in full swing. 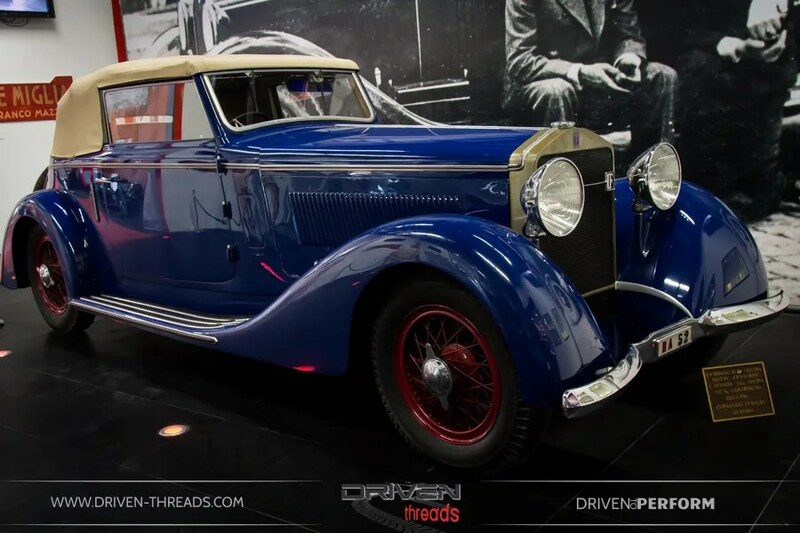 In 1937 they produced the W125 Rekordwagen. 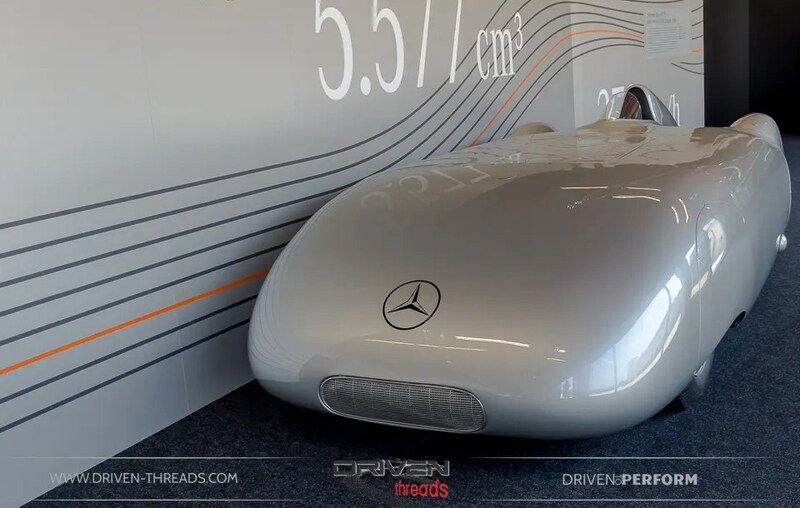 An experimental, high-speed streamlined machine, derived from the 1937 open-wheel race car Mercedes-Benz W125 Formel-Rennwagen. All cars presented had so many fascinating details. 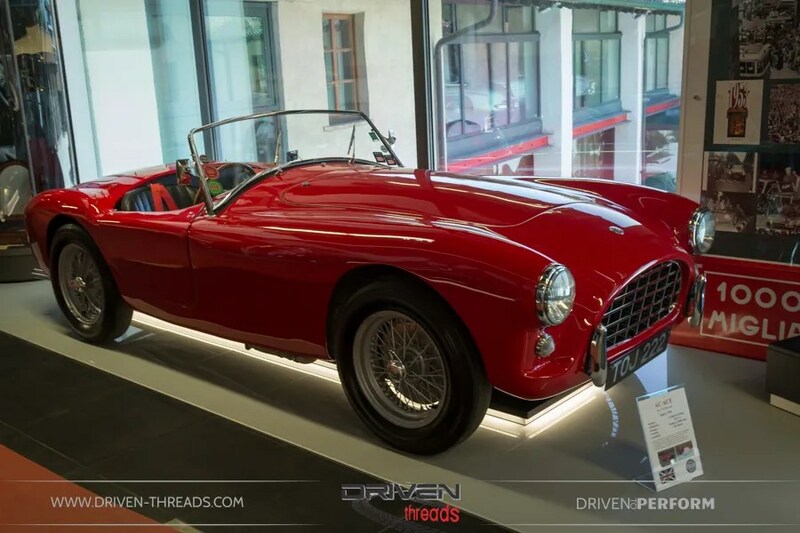 Precursor to the famous Cobra, the AC Ace featured a straight six engine as opposed to V8 power. 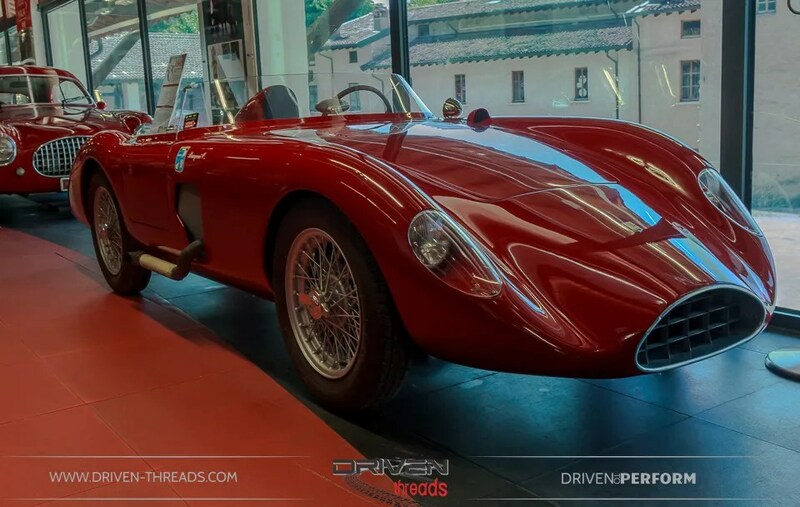 The advanced Cisitalia 202 was one car that we salivated after. 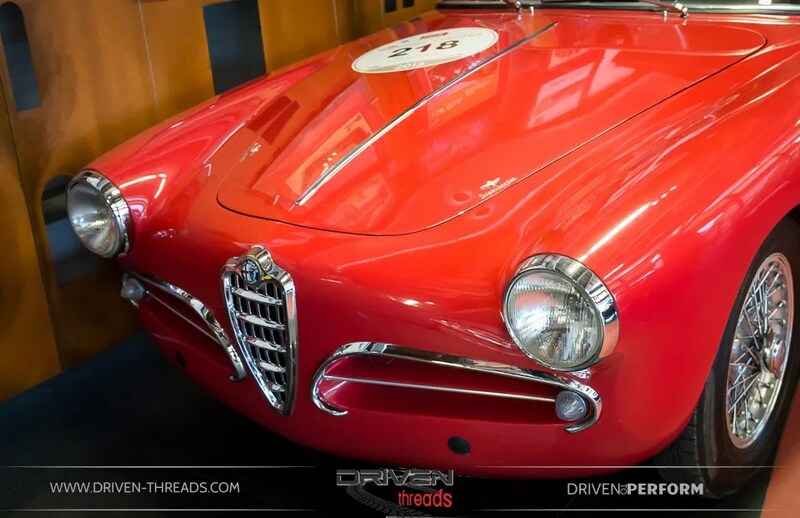 Launched in 1947, the 202 was an aesthetic and technical achievement that transformed postwar automobile body design. 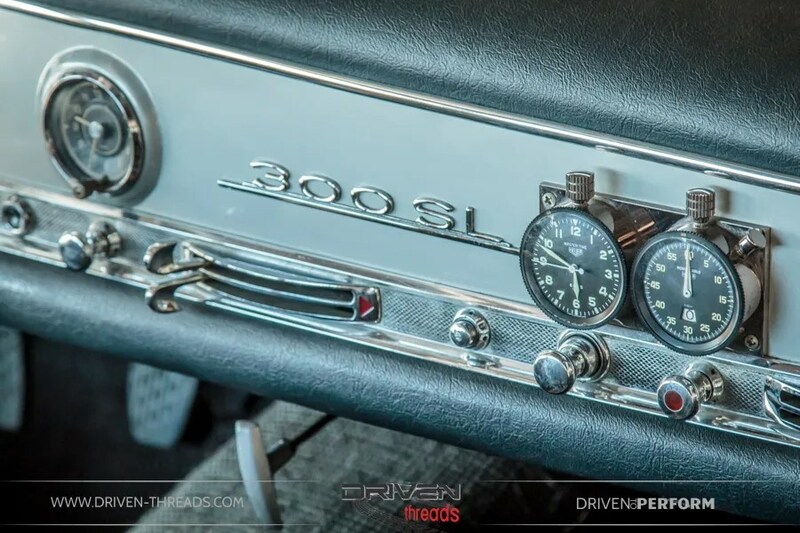 The Pinin Farina design was even honored by New York’s Museum of Modern Art in 1951. 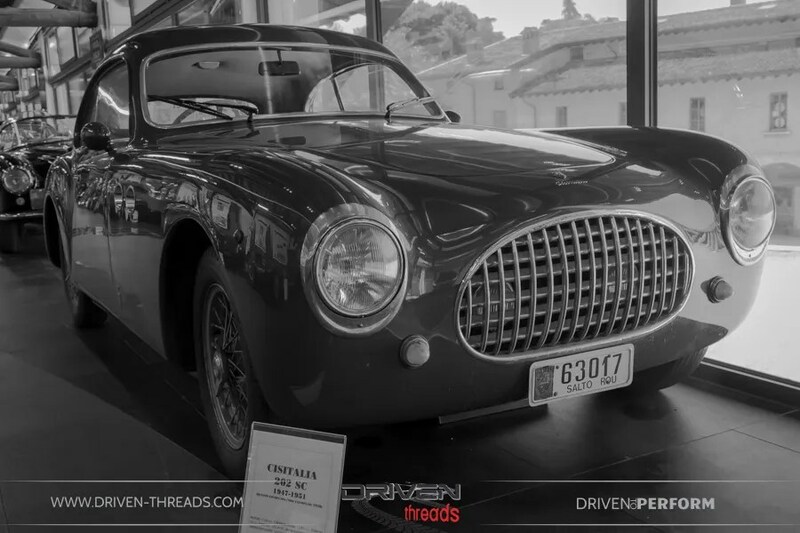 Due to its expense and coachbuilt construction, only 170 were produced between 1947 and 1952. 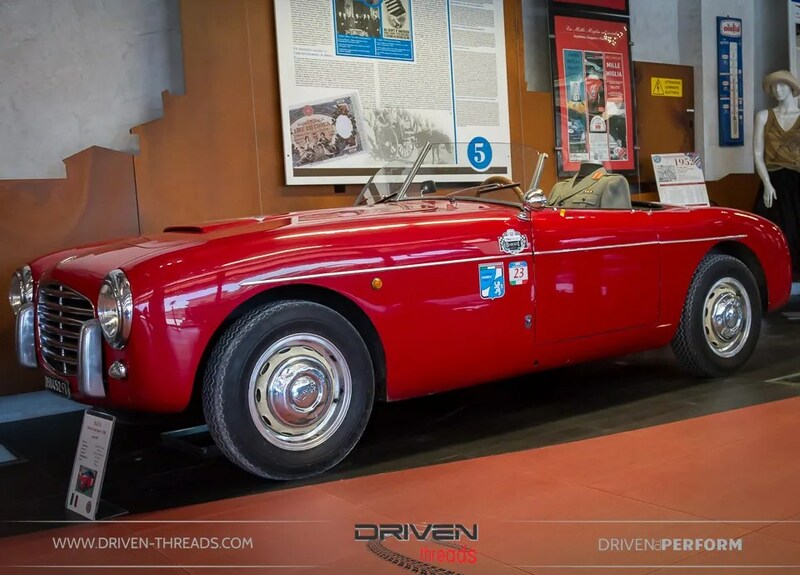 The simple Cisitalia was also produced in roadster form. 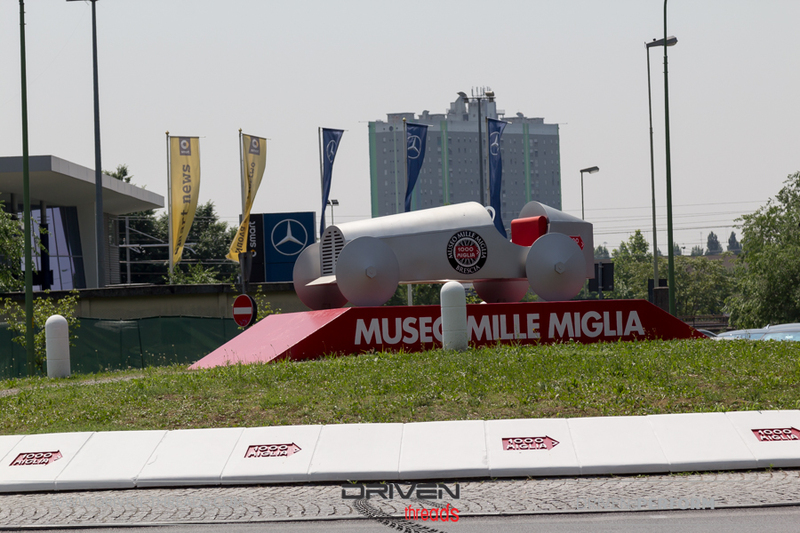 We hope you have enjoyed our coverage of the Mille Miglia Musuem.